Rosslyn's mustard seed of faith, the Arlington Temple United Methodist Church, is now flying beautiful banners from its hard ground above the Sunoco gas station in Rosslyn. 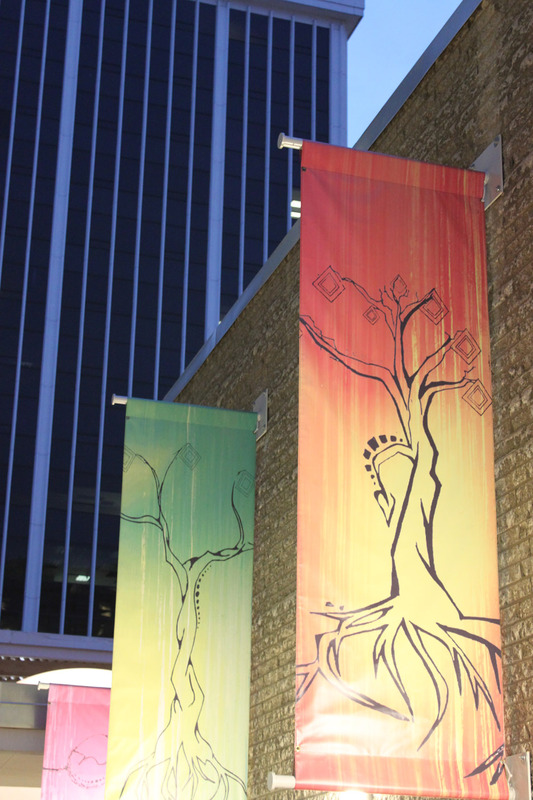 The banners resulted from collaboration between Arlington Temple, Rosslyn Renaissance Board member Carol Muszynski's Eighth Day Design firm, and a design class at Rosslyn's Art Institute of Washington. The Temple is beautiful inside and out. 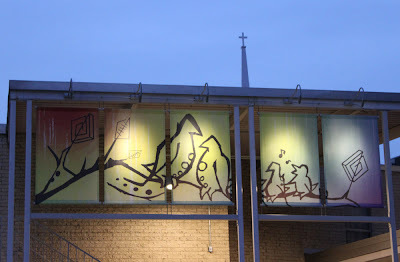 Anyone is welcomed to spend some time inside of it any weekday from 8:30am to 4:30pm.